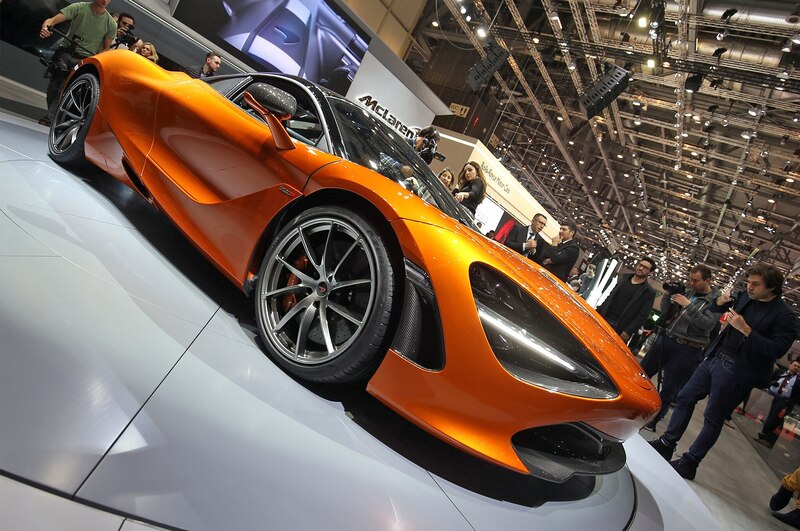 Feast your eyes on the all-new 2018 McLaren 720S, which made its official debut at the 2017 Geneva Motor Show. 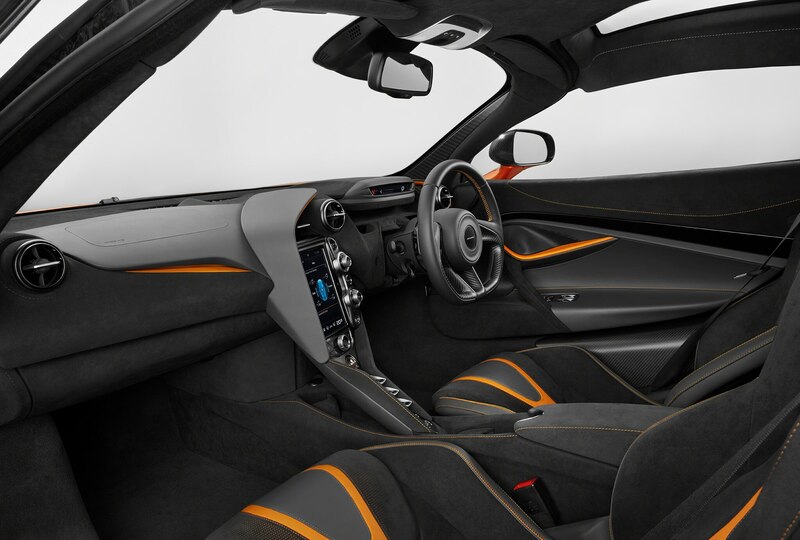 The two-seat exotic is successor to the equally awesome 650S Coupe, and our first look at the British supercar does not disappoint. Compared to the 650S, the 720S is lighter, faster, and more aerodynamically efficient. 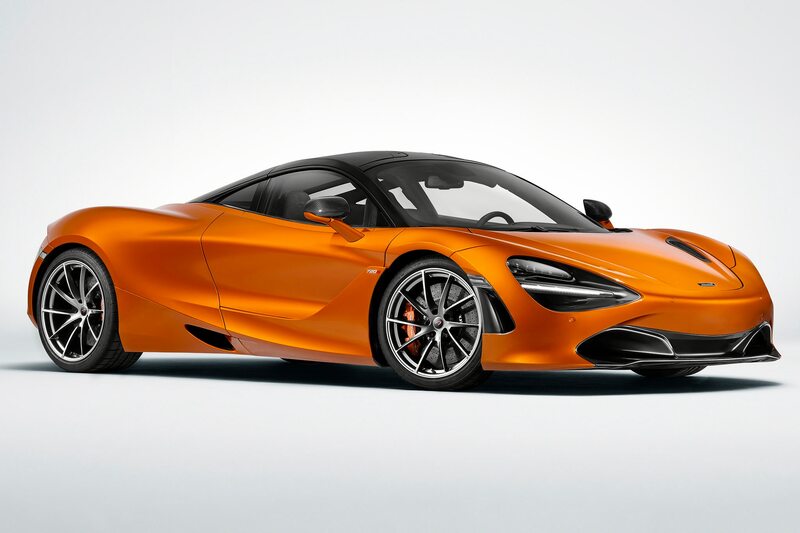 McLaren’s latest performance beast to roll out of Surrey packs a new, twin-turbocharged, 4.0-liter V-8 engine under its hood that produces 710 horsepower and 568 lb-ft of torque. 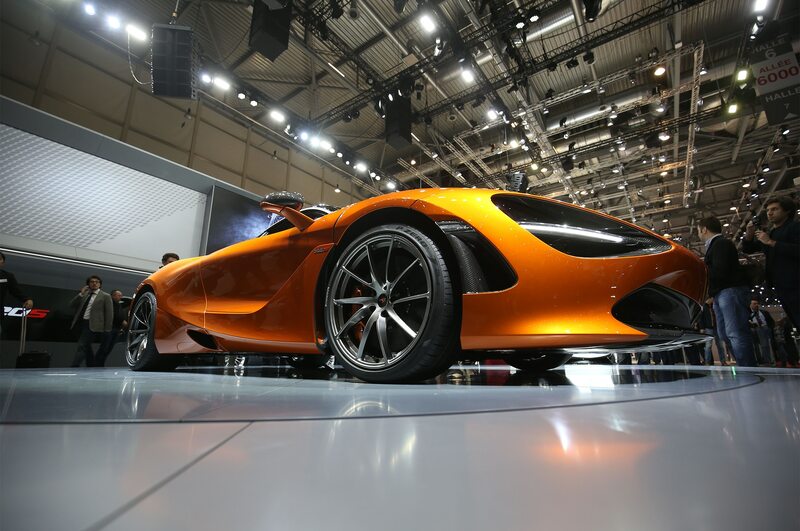 The V-8 is mated to a seven-speed dual-clutch automatic transmission with paddle shifters. 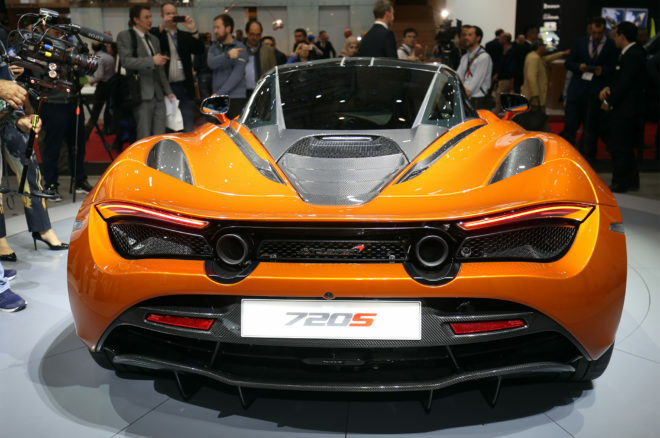 It’ll hit 60 mph in a blistering 2.8 seconds and has a top speed of 212 mph. 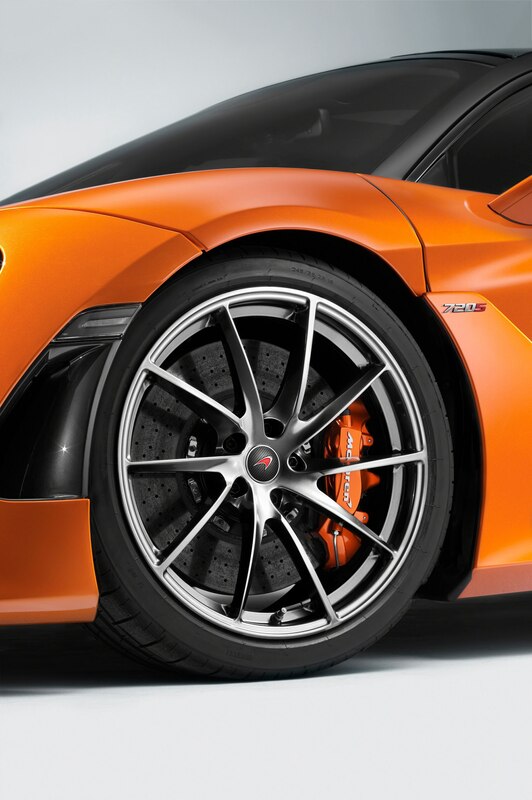 Carbon ceramic discs help the 720S brake from 124 mph to a complete standstill in 4.6 seconds. 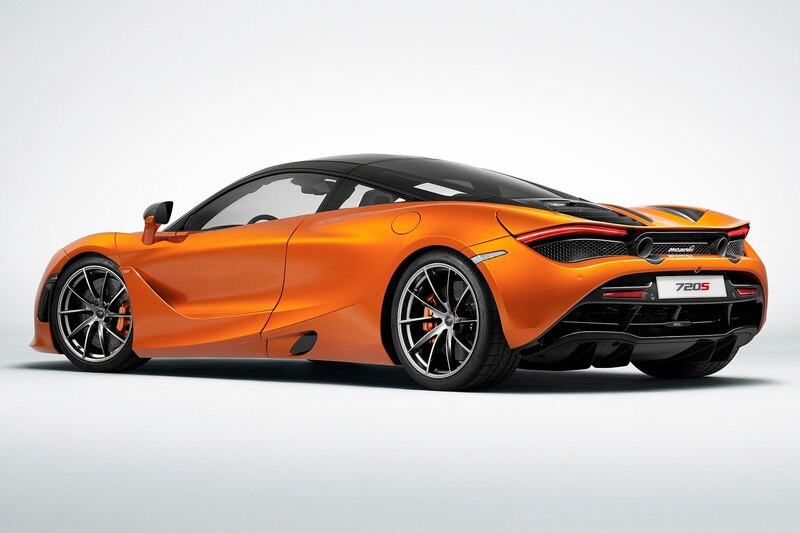 Aluminum bodywork is “shrink-wrapped” around a carbon-fiber structure for a sculpted look and optimal aerodynamic efficiency, McLaren says. 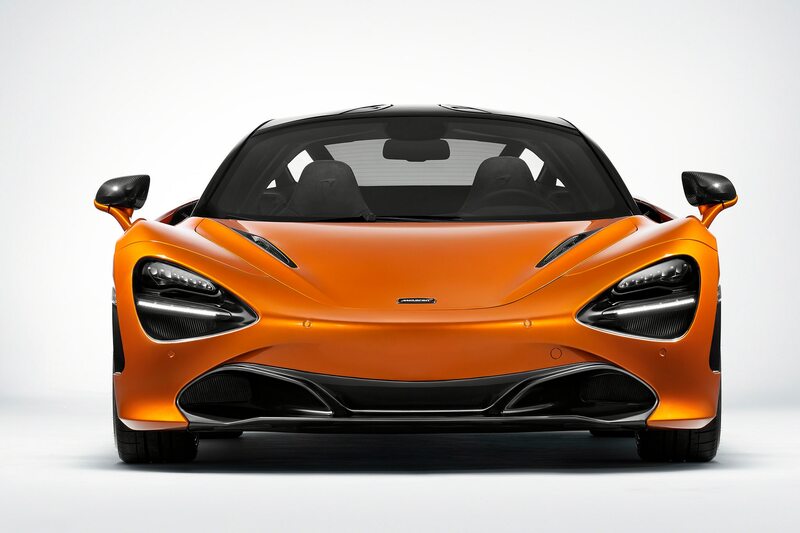 Up front the 720S receives a curved front bumper with aero blades inspired by the McLaren P1TM. 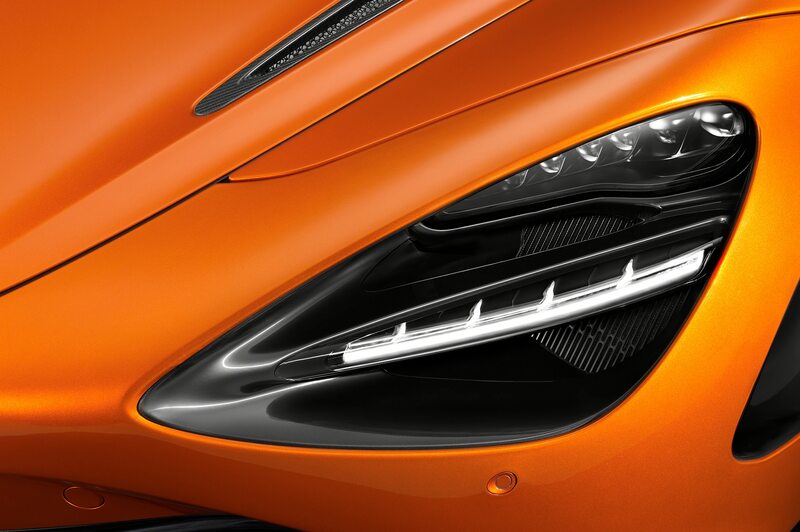 Digital headlights with 17 LEDs each hover above lower air channels in deep, dark eye sockets. 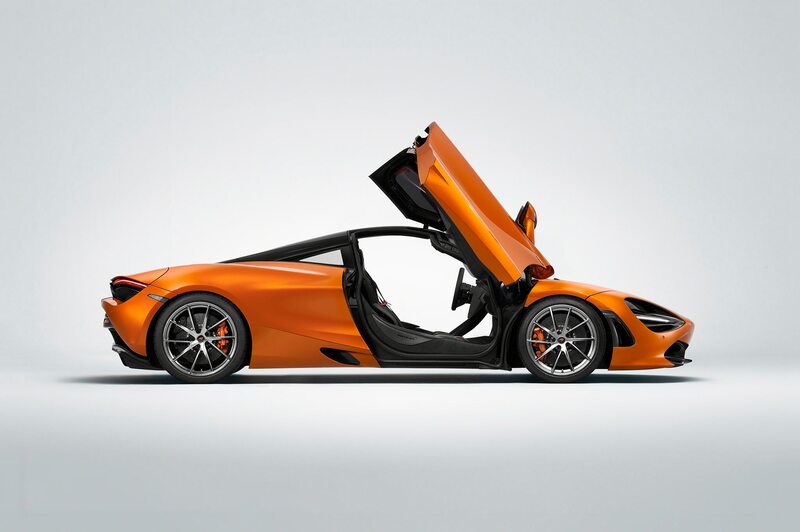 Its double-skinned dihedral doors direct air to the high-temperature radiators that cool the mid-engine and cancel the need for visible side intakes. 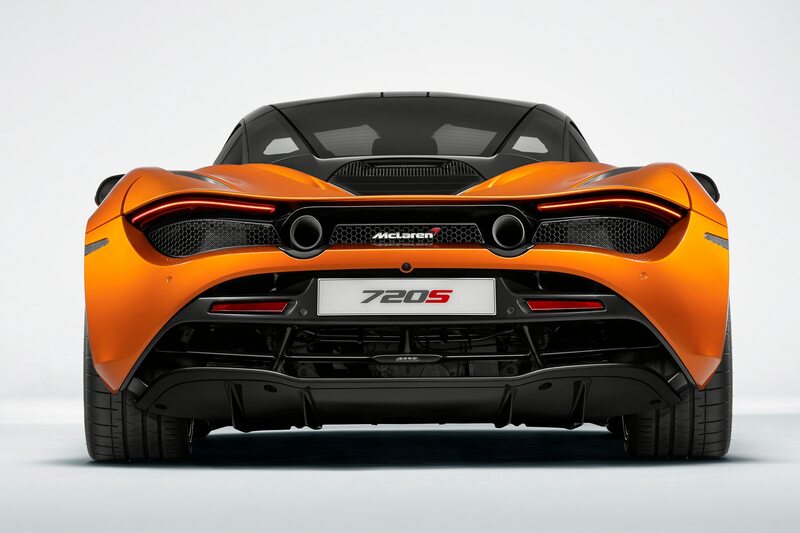 Around back, the new McLaren receives a sandwich-like, multi-layered, thin rear grille, a hydraulic wing, and diffuser that helps keep the supercar firmly planted on the pavement. 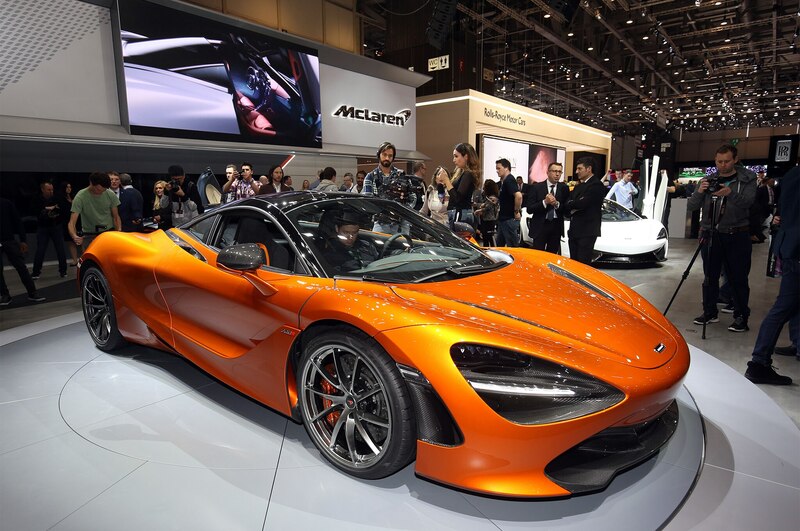 McLaren touts a number of aluminum alloys that are used extensively in the chassis and some of the body panels that brings the total weight in at 3,128 pounds. 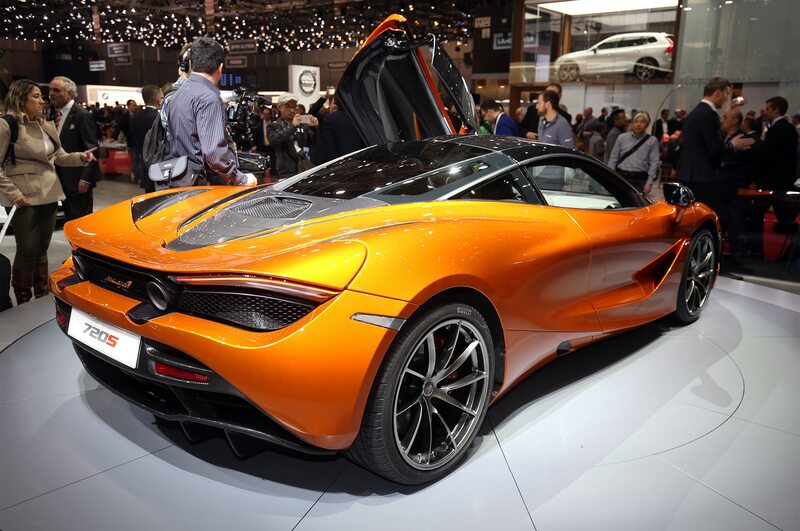 It rolls on 245/35R-19 Pirelli tires with forged aluminum rims up front and 305/30R-20 tires in the rear. 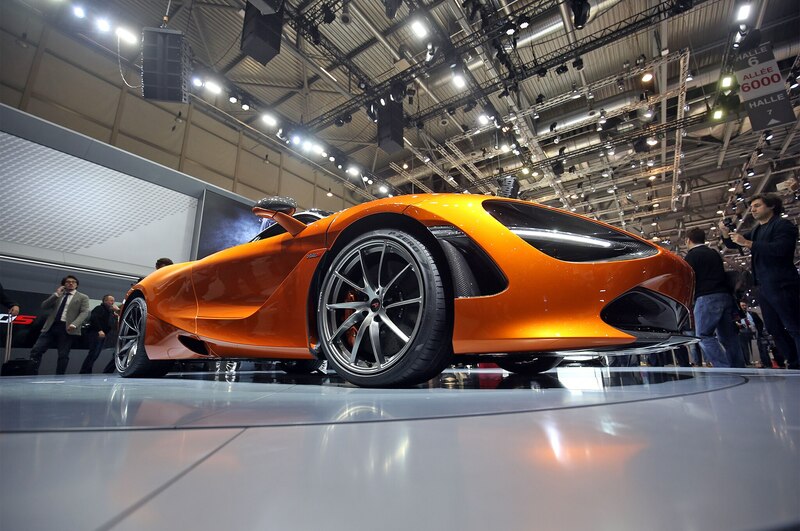 Inside, the 720S gets a leather-wrapped wheel, Alcantara trim, solid aluminum switches, and a new carbon-fiber monocage, in which the entire supercar is built around. 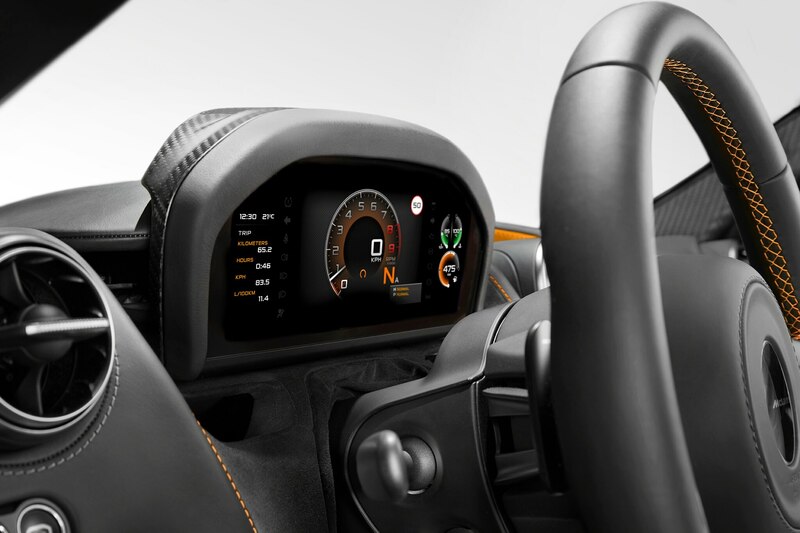 A fancy new folding driver display deploys on the dash with two screens for the driver. 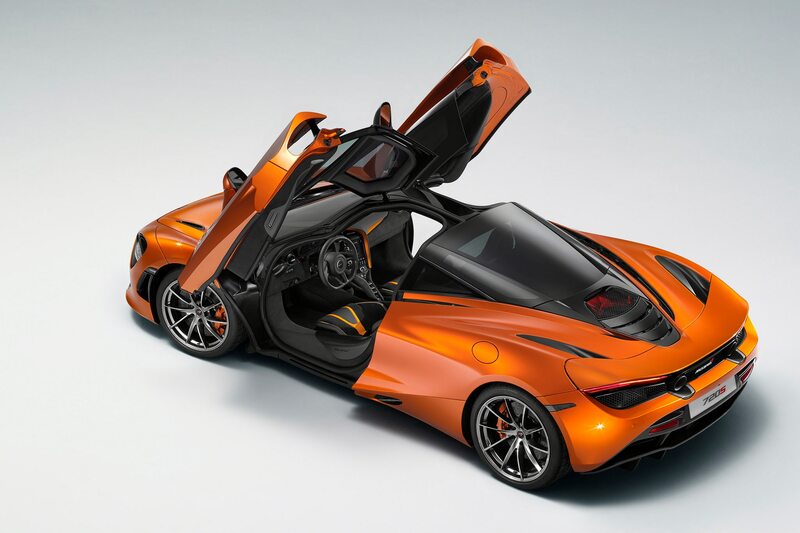 In full display mode, the folding display presents information on an upright, high-definition panel, with three layouts and color combinations when the car is driven in Comfort, Sport, or Track modes. 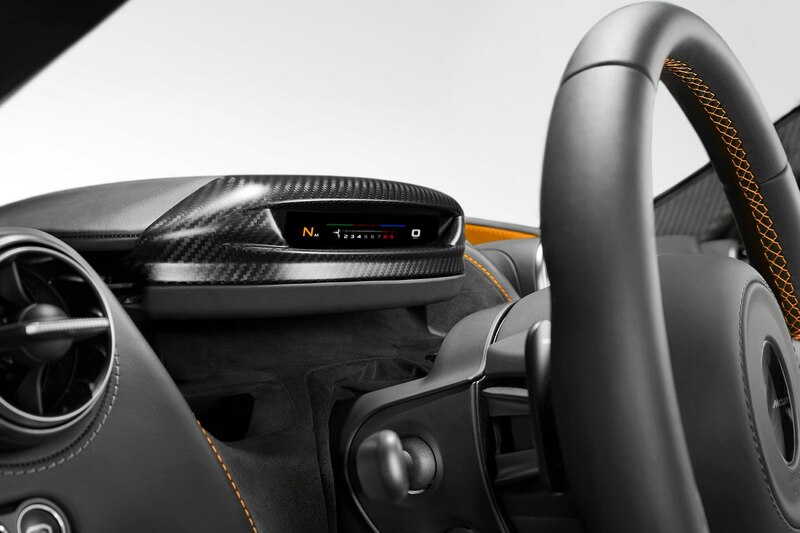 At the touch of a button, the display slides down to slim display mode with only the minimum of information displayed in a sleek, strip form. 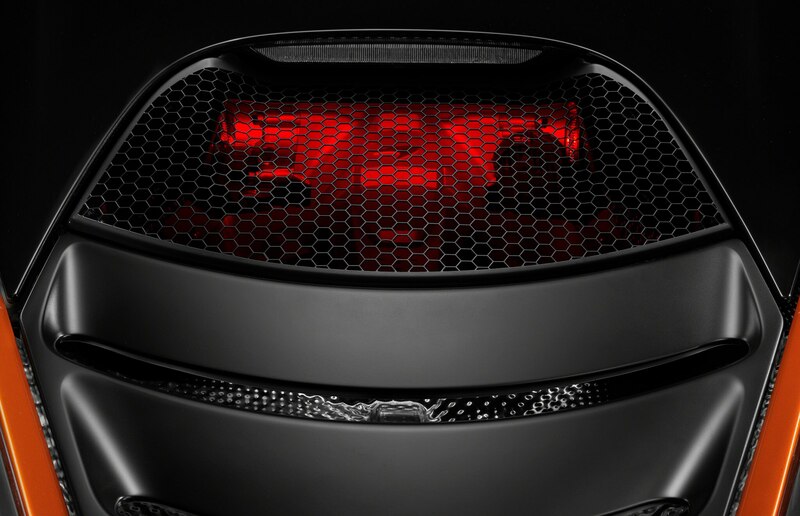 This provides more visibility for the driver we are told and looks very futuristic too. 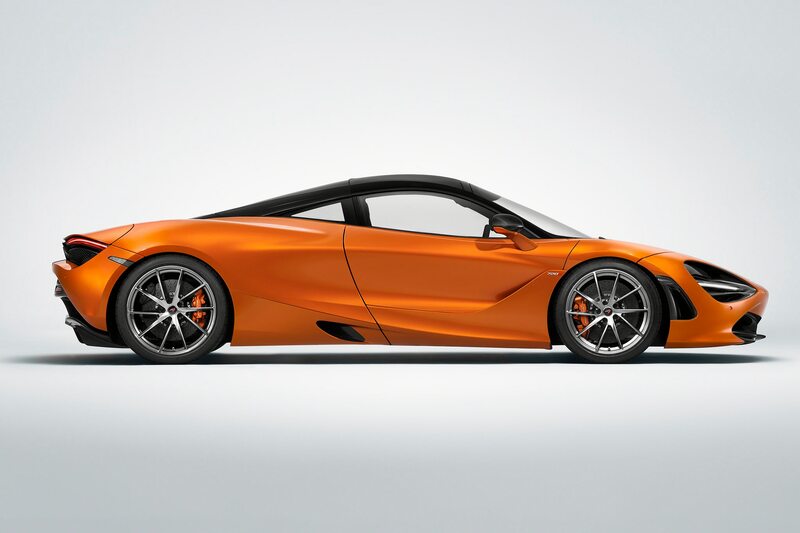 The McLaren 720S is available in 20 flavors including our favorite, McLaren Orange. 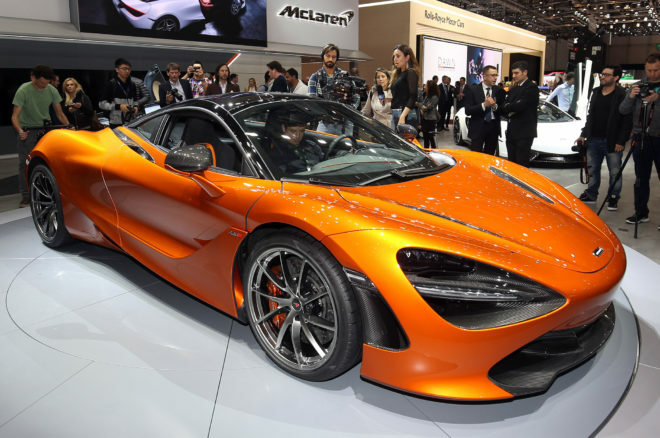 Deliveries of the supercar begin in May, and it should be priced at about $278,775.